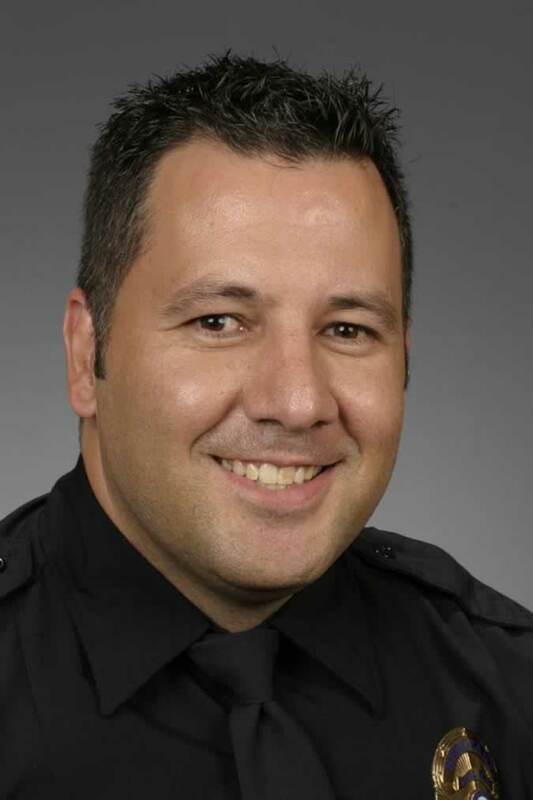 Out of the tens of thousands of law enforcement officers in the entire state, coupled with all of the civilians in Colorado who are working to end domestic violence, Grand Junction Police Sgt. Lonnie Chavez stands out from the rest. Sgt. Chavez was tasked with looking at the victims of domestic violence cases and seeing how many times they go back to their offenders. Sgt. Chavez began documenting the cycle of violence and looking for ways to help those involved in the highest number of incidents. “It can be frustrating when the victim doesn’t understand the cycle they’re involved in,” said Sgt. Chavez. But that doesn’t mean Sgt. Chavez gives up on those victims. Instead, he works harder, teaching younger officers how to go beyond the appearance of a situation and to dig deeper into what is really happening with each domestic violence incident they respond to. 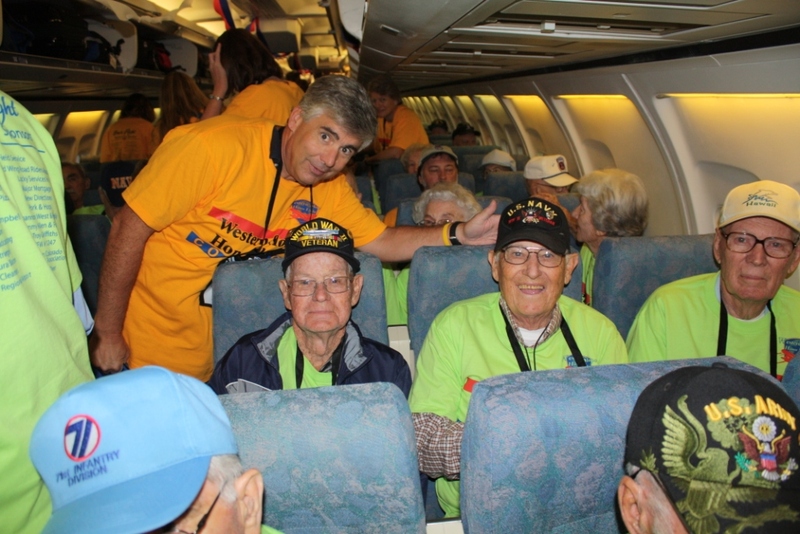 On October 5th and 6th GJPD Commander Greg Assenmacher had the privilege to be a guardian for two Grand Valley World War II veterans as they traveled on the latest Honor Flight. Commander Assenmacher was gracious enough to share a few of the many memories this trip created for him and the 106 veterans. 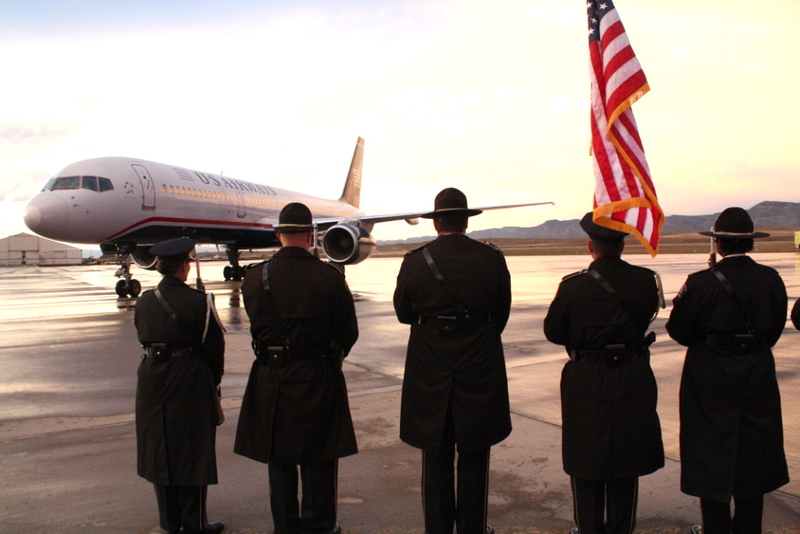 As I awoke this morning, Tuesday October 12th, I couldn’t help but reflect on my experience last Tuesday (Oct 5th) as be part of the Western Slope Honor Flight. 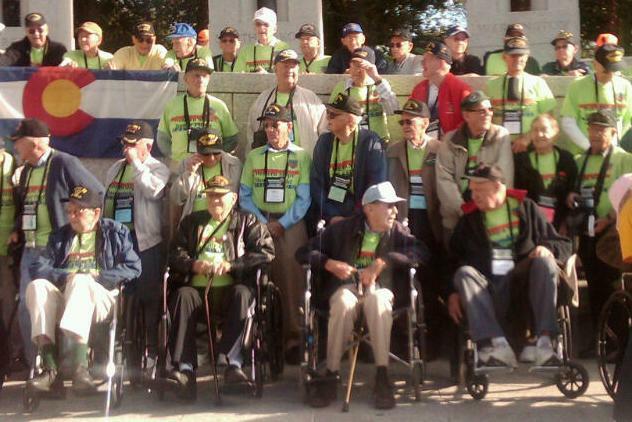 The mission of this group is transport our country’s World War II veterans to Washington D.C. to visit memorials dedicated to their honor, their service and their sacrifice. As a nation our debt to these heroic men and valiant women may never be repaid, however I saw an expression of gratitude to these heroes throughout our trip, and came away with many more stories than I have room to share with you here. On the evening of October 5th a Brigadier General assigned to the Pentagon came out to speak with the vets at dinner. 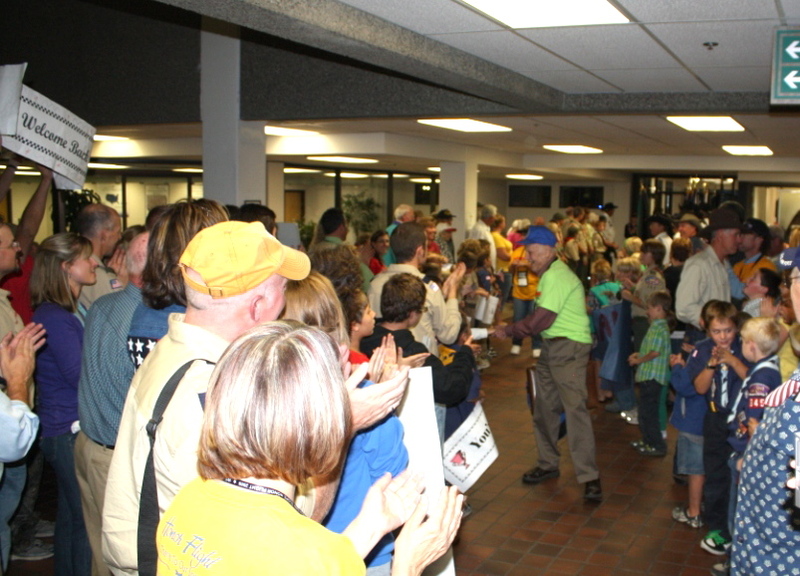 Although I am sure his career keeps his schedule full, he took the time to be with the Honor Flight veterans to share a few personal stories of his childhood life growing up in Salida, Colorado and how he was inspired by their generation and later felt a sense of pride to serve our country as well. For him, it was an honor and to come out to see these men and woman and to pay tribute and salute them for fighting and winning the most devastating war in American’s history. At each Memorial (WW-II, Korean, Vietnam) visited the following day by these veterans I witnessed the American people who were there as tourists, including girl scouts, high school field trips, and citizens pay tribute to these vets by thanking them, hugging them or giving them personal hand made cards expressing their thanks and appreciation. These simple ways of saying thanks for their service had such an impact on me that I cannot even imagine the full impact their small tributes made on the veterans. During our return flight back to Grand Junction the Veterans had a “Mail Call”, just like their military days, in which they received packets of letters from students, City & County officials and family members recognizing them for their service and how they inspired future generation to come. 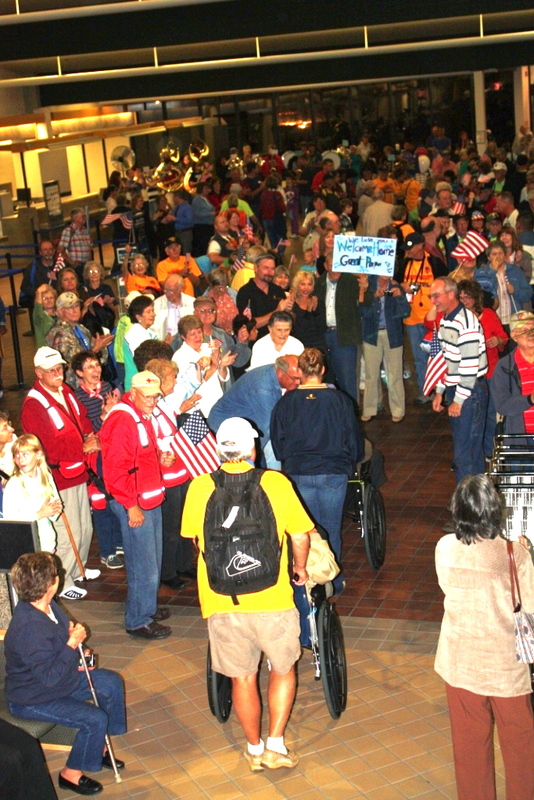 Upon our landing these Vets were greeted by more than 100 police and fire officers and another 400 plus community members who came out to honor them in a special ceremony in the terminal at the airport. While the marble structures, statues and stars of the D.C. memorials were impressive, the heart warming welcome back to Grand Junction is a memory that these men and woman will never forget. So, as a guardian on this flight and seeing first hand the tribute paid to these men and woman, I’m proud to be part of such an event and a member of a community who made this two day trip (35 hours) so special to “The Greatest Generation” of Americans who emerged from the depression and triumphed in a war allowing us the freedom and individual rights we enjoy today. Do You Know Where These Two Men Are? The Grand Junction Police Department is asking for the public’s help in locating two men wanted in connection with an investigation into an assault that escalated to two men being run over by a pickup. Just before 2:00 this morning, police were dispatched to the Tequila’s Bar on Hwy 6 & 50 for an assault. When the first officer got to that area he found two men with traumatic injuries near the Carl’s Junior restaurant. Officers also found a woman who had injuries to her face. The investigation at this point shows 23-year-old Miguel Martinez of Grand Junction assaulted the woman and then got into a truck driven by his brother, 29-year-old Juan Martinez, also of Grand Junction. Witnesses say the men were driving around in the area and ran over two men. Those two victims suffered serious injuries and were taken to St. Mary’s Hospital. 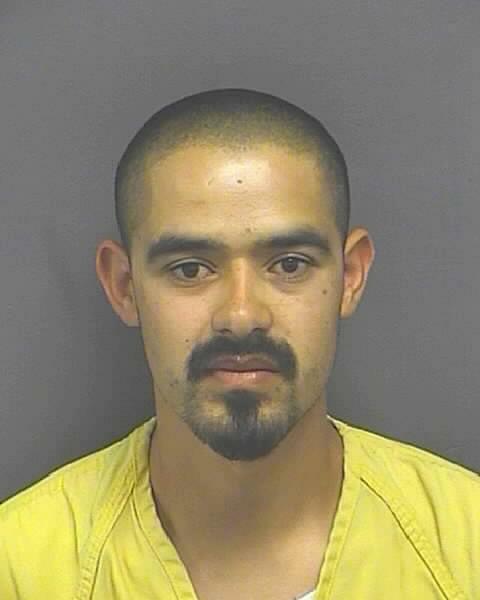 GJPD Detectives have obtained arrest warrants for both Miguel Martinez and Juan Martinez. Miguel faces a 3rd degree assault charge which is a class one misdemeanor. 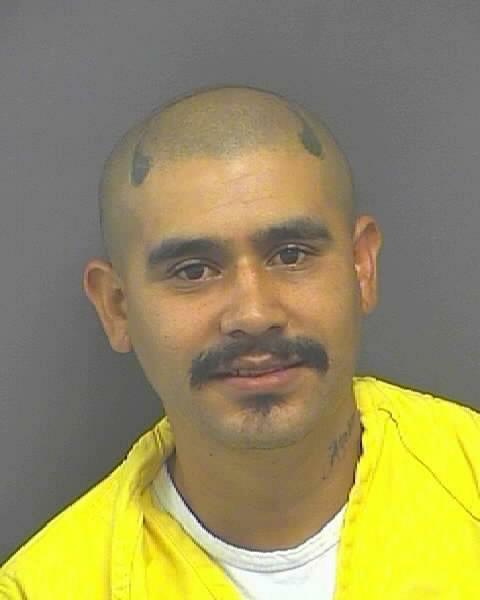 Juan’s charges include 2 counts of attempted 2nd degree murder and 2 counts of vehicular assault. We are asking for anyone who may know where Juan and Miguel Martinez are, or who knows where we can find the vehicle they were in, to call 242-6707. The pickup is a 2003 gold Dodge truck with Colorado license plate 588 TDM. At this point we have not been able to identify one of the men who were run over. If anyone has information about this incident they can call the Grand Junction Police Department at 242-6707, call Crime Stoppers at 241-STOP, send the information via the web at www.241stop.com, or text a tip to CRIMES (274637) with the word TIP729 in the message. The identity of the person providing the information will remain anonymous.